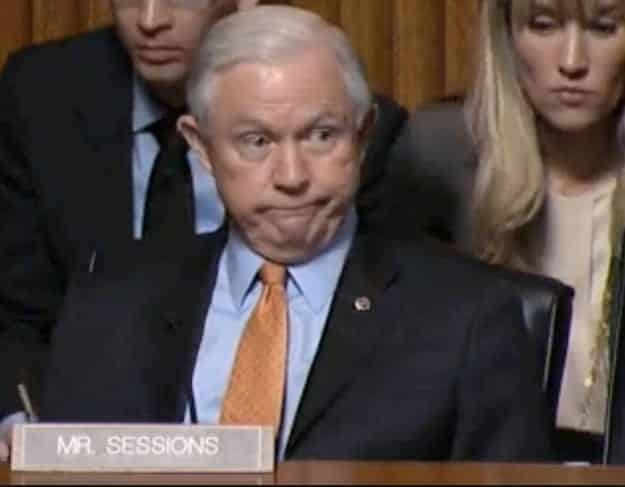 Congressional investigators are looking into whether Attorney General Jeff Sessions had yet another undisclosed meeting with Russian Ambassador Sergey Kislyak during the 2016 presidential campaign, Democratic and Republican aides and intelligence officials told CNN Wednesday. They are specifically trying to determine if a private meeting took place between Sessions and Kislyak on April 26, 2016, at the Mayflower Hotel in Washington, D.C. That day, candidate Donald Trump gave his first major foreign policy speech at the hotel, and both Sessions, then a Republican senator from Alabama, and Kislyak attended a reception prior to his address. Sessions, who has previously failed to disclose meetings he held with Russian officials, has been asked to hand over additional information, including his schedules. CNN is now reporting ANOTHER #Sessions–#Kislyak meeting during the campaign. This entry was posted on June 1st 2017 at 9:49am/09:49 and is filed under Elections, Live News Column 2, Politics, Weather & Enviorment. You can follow any responses to this entry through the RSS 2.0 feed.